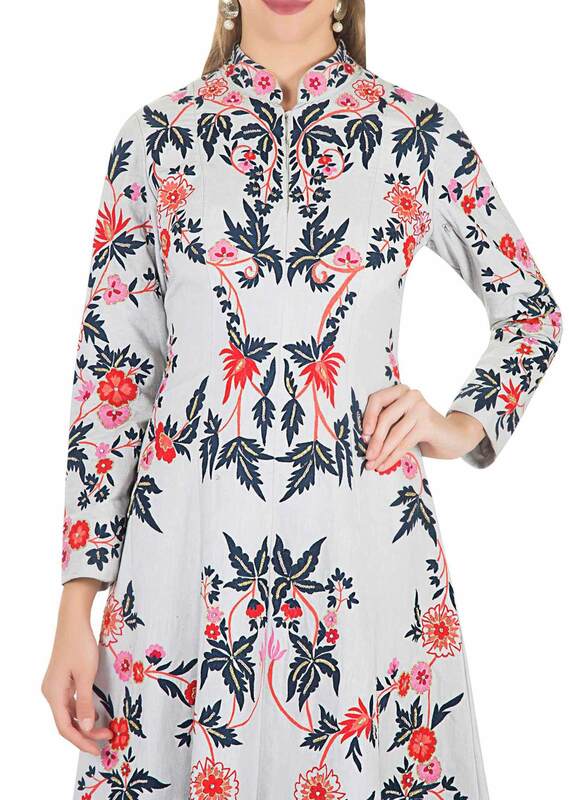 The rich elegance of the resham embroidery on the floral motifs makes this grey cotton dress a definite inclusion to your ethnic collection. 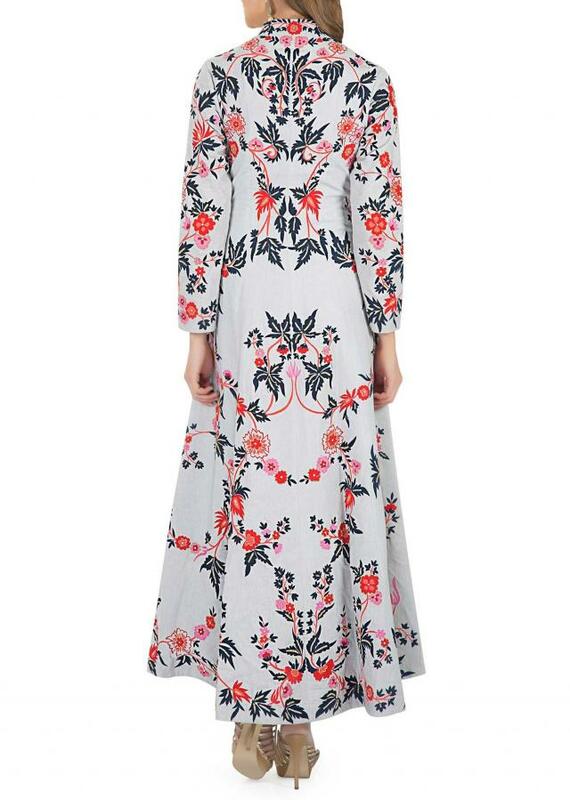 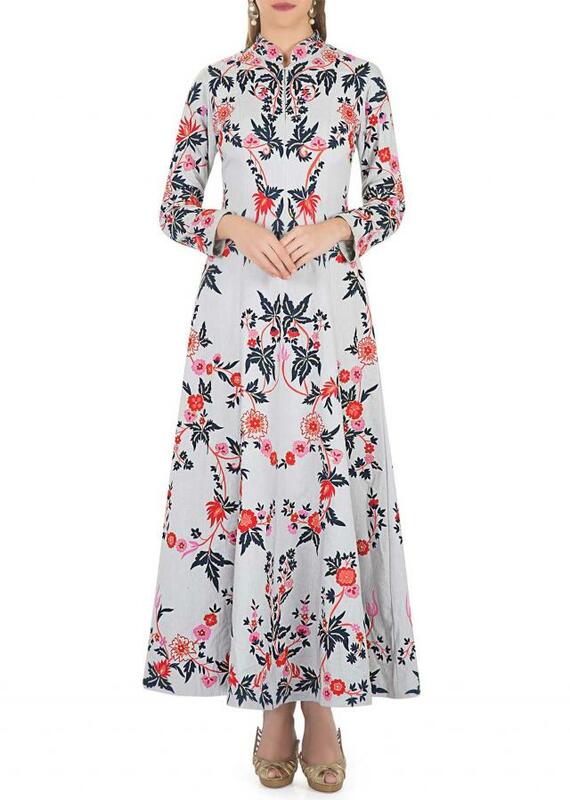 The colorful floral patterns are touched with cut dana work. 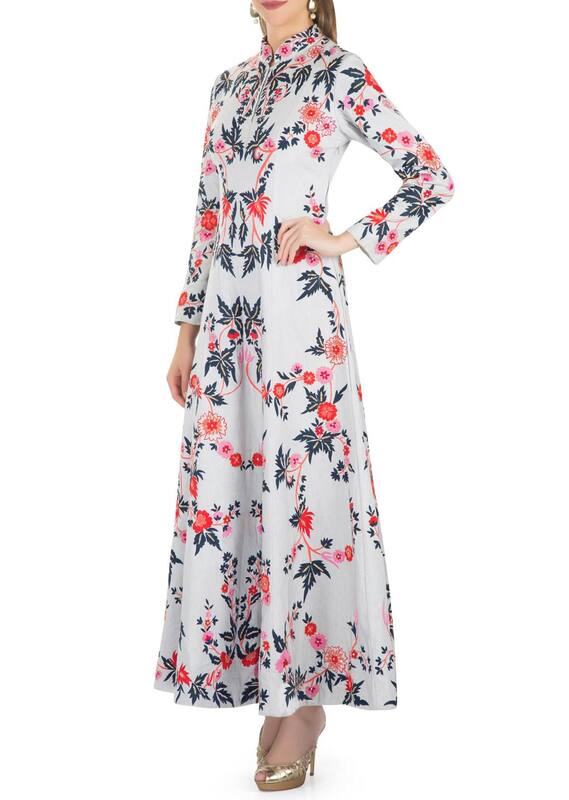 The high necked dress features full sleeves and a front hook eye closure.